Our youth hostel is looking forward to those young people who look for active recreation. We gladly provide opportunities for training camps organized by amateur and replacement sport associations, student sport clubs, dance clubs. It is not a secret: we also wish that more and more young people take a liking to a healthy lifestyle and consequently doing sports. The training camps help children to gain more expertise in the field of th given type of sport. 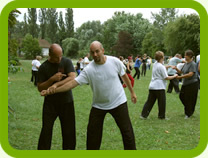 Participants are educated and supervised by qualified instructors. Between sports activities excursions, games and the beach provide delightful recreation for the young. There are many branches of sport, which can be exercised either in our hostel or in the area. Some of them are swimming, water polo, beach soccer, beach volleyball and tennis. The KÓPÉ ÚVSE led by Olympic champion Zoltán Kósz is choosing us year by year for its water polo training camp. 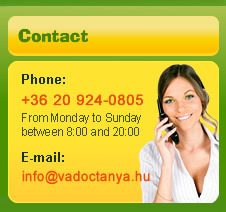 The location for the training is in Gyenesdiás: it is the first open-water water polo course of lake Balaton. 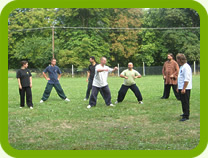 Another example for a returning group is the Far Eastern martial art training camp of the Chen Tai Chi Association, which has choosen Vadóctanya both last year and this year for their summer programme.